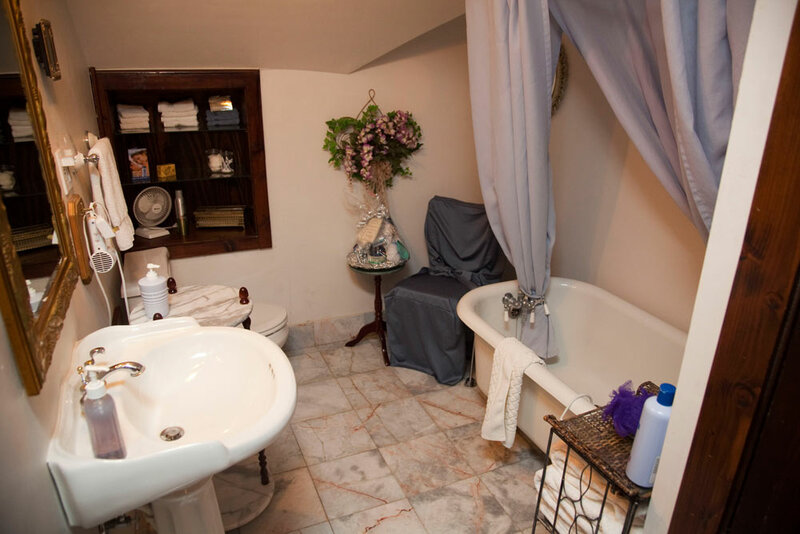 Deluxe "Jacuzzi" Rooms . 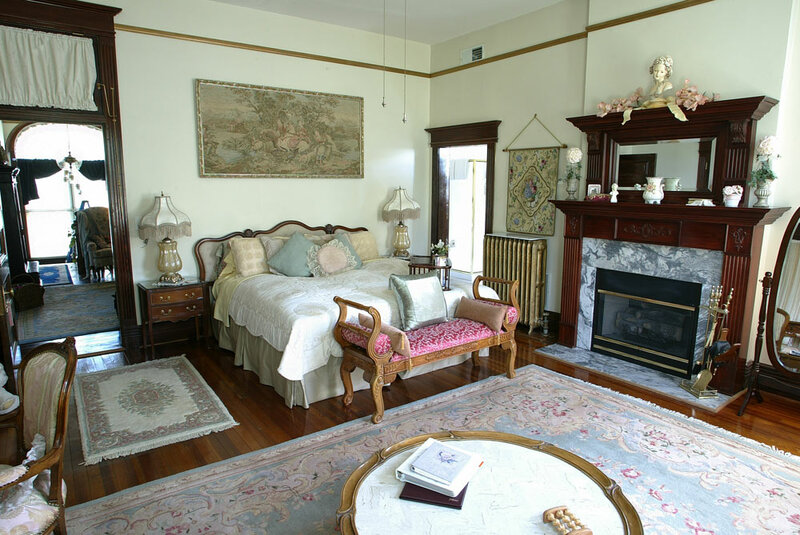 . .
Be pampered in affordable elegance like only The BEALL MANSION can provide. Enjoy a Sumptuous Queen Canopy or Quarter Canopy Bed, Whirlpool ("Jacuzzi")for Two, and more . . .
approximately 275 to 300 sq. ft. 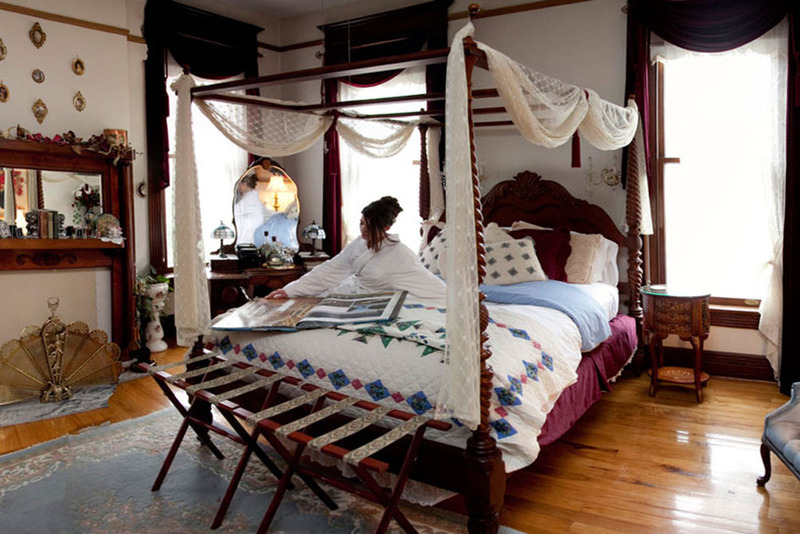 The IL Bed and Breakfast Act (50 ILCS 820/) and Fire Marshal limit occupancy to a maximum of 2 persons per room. Although not appropriate for infants or most younger children—by law they count as persons. Subject to availability. Please book early to avoid being disappointed.